As it turns out, eggplant parmigiana is not actually an Italian-American dish as I originally thought but rather, a bonafide Southern Italian dish. My version however, is a bit of a fusion number. It's the love child of a eggplant parmigiana recipe with an "Italian-style" pork chop rice dish that is really popular in Hong Kong. Which means this round the world dish is super versatile. You can easily replace the eggplant with chicken thighs or pork chops or traditional veal scallopines. Serve the tangy cheesy sauce over cooked penne, spaghetti, or rice for an all in one meal. 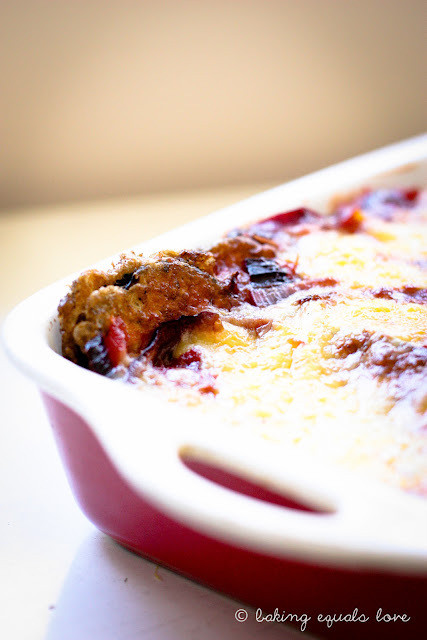 I've made this for numerous family get-togethers and it's always a hit - a real crowd pleaser. You never know, you might have to cook for twenty guys someday. Unfortunately, the level of tastiness seems to be proportional to the level of bad-for-you-ness. Breaded, fried, then smothered with gooey cheese this dish is a little bit of a calorie bomb. But, fear not, there are little things you can change to healthify the dish. Having said that, the original sinful version is pretty spectacular so well worth having to go for a compensatory run for. handful fresh thyme (stalks removed) or oregano, roughly chopped. 1. First, get all the prep for the dredging station or mise en place ready. You'll need three bowls - one for the flour mixture, one for the eggs and one for the breadcrumbs. Bowl 1 - Flour mixture: whisk flour, salt, pepper, onion powder, garlic powder and cajun spice. Bowl 2 - Bread crumbs: mix the bread crumbs, dried herbs, garlic powder, salt and parmesan. Bowl 3: lightly beat the two eggs. 2. Preheat your oven to 200oC. To prepare the eggplant, slice off the top stalk and the bottom, then slice into 1.5 cm discs. Now to set up the dredging station. Arrange the bowls and eggplant in this order: Sliced eggplant -> Flour -> Eggs -> Breadcrumbs -> Frying Pan. In a large heavy frying pan, heat olive oil and butter over medium to high heat. Dip the sliced eggplant into the flour to cover, shake off excess flour, then dip in egg to get a thin coating all round, then coat in breadcrumbs and straight into the pan. Fry for around 3 minutes per side until soft and golden brown. 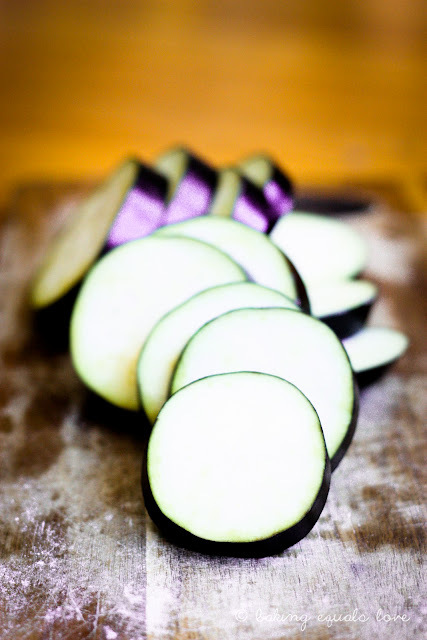 Fry the eggplant slices off in batches and place them onto paper towels afterwards to soak up the excess oil. Arrange the slices in a layer in a large deep baking dish (around 20 x 30cm) so that the slices overlap each other like a fan. 3. 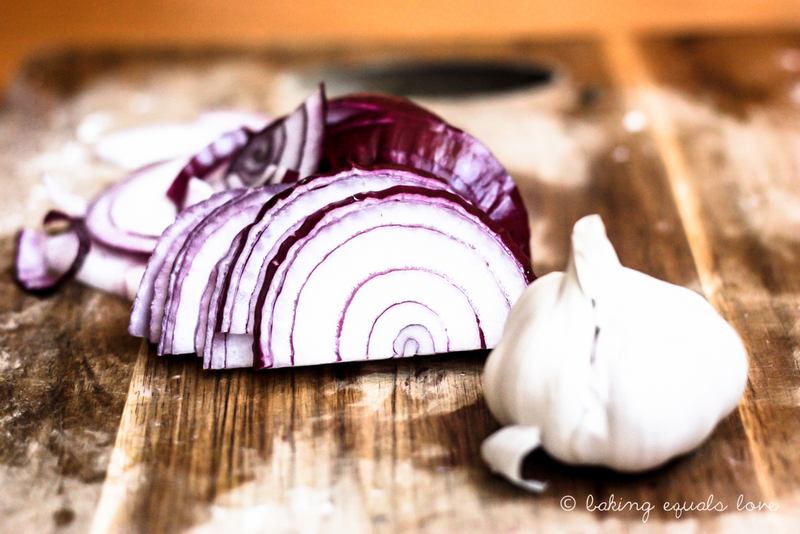 Sauce: Fry sliced onions and garlic in a little olive oil until soft (this takes around 7 minutes). Add ketchup, water, brown sugar, worcestershire sauce, salt and pepper and simmer for around 5 minutes. Taste and adjust seasoning. Add thyme or oregano. Mix the cornflour with cold water and add to sauce. Let the sauce simmer for a minute or 2 to thicken then pour over the eggplant in the baking dish. 4. Sprinkle the grated tasty cheddar cheese evenly on top of the eggplant + sauce, then sprinkle the parmesan cheese over the tasty cheese. Bake at 200oC for 10-15 minutes until golden. 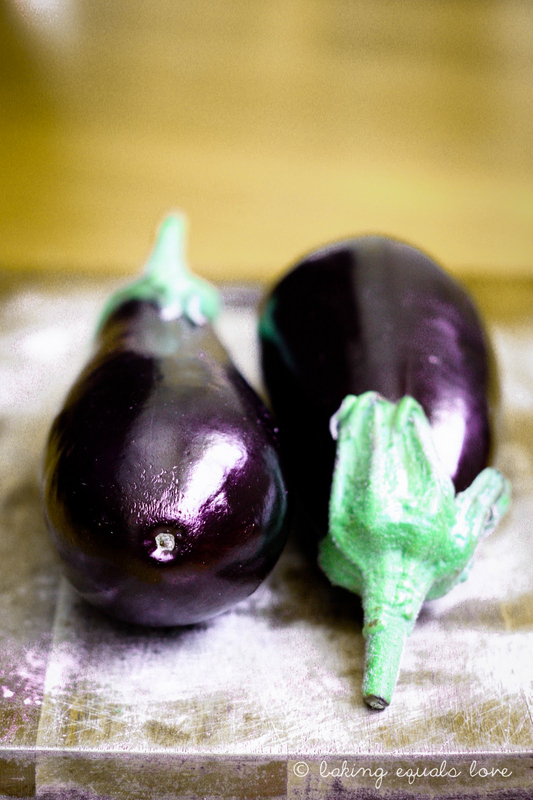 - Instead of breading the eggplant - Spray a baking sheet with cooking spray. Coat the sliced eggplant in flour and bake on the prepared baking sheet at 200oC for around 15 minutes, until soft and golden brown on top. Or grill them on the barbeque. - Make the sauce as per the recipe. 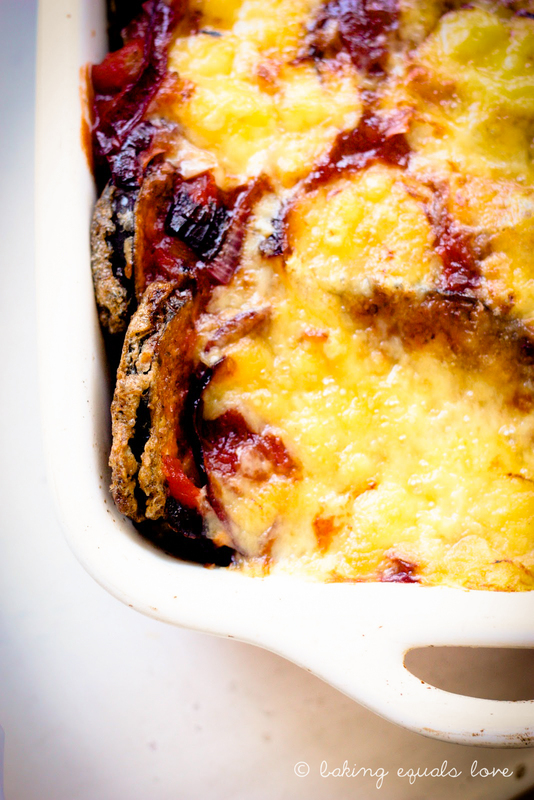 Layer the eggplant in the baking dish, top with sauce, then edam cheese (instead of cheddar). Top with the breadcrumb mixture (breadcrumbs, dried herbs, garlic powder, salt and 1/4 cup parmesan) and bake at 200oC for 10-15 minutes until golden. That bit from Goodfellas struck a chord with me and I think about it every time I have to slice garlic. 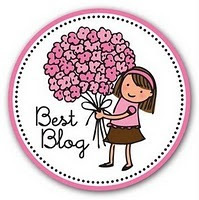 I'm glad you found it memorable too. I love seeing examples of the passionate and particular foodie in all walks of life. yum, i like the addition of breadcrumbs to the parmagiana! i recently tried cooking it for the first time but i don't think i cooked the aubergine quite long enough. Had the tastiest parmigiana recently in Portugal, of all places.. This dish looks scrumptious! Yum!